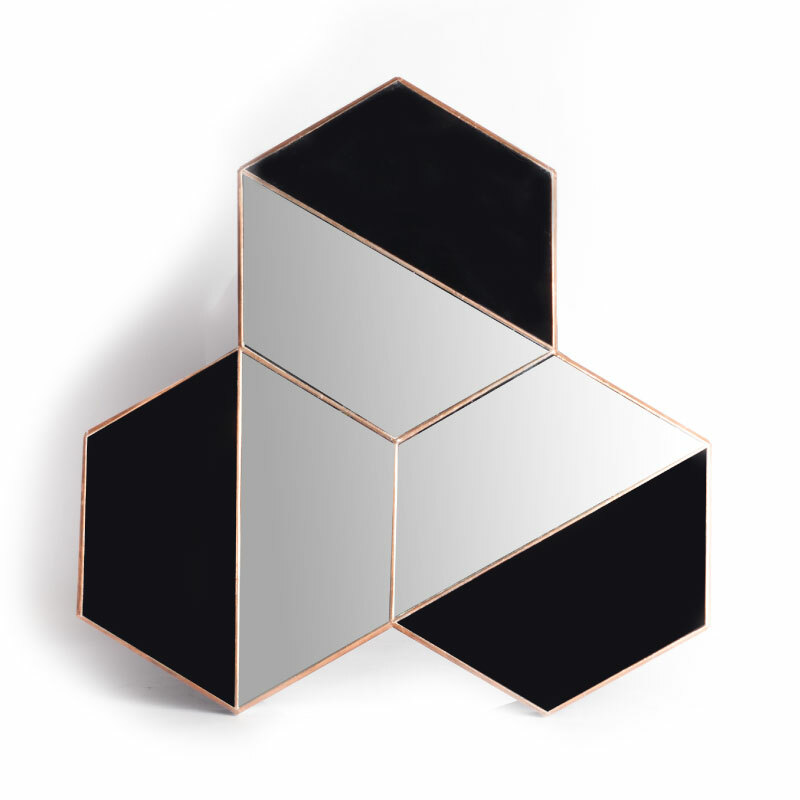 This Fragment Mirror is take shape from a Hexagon shape divided between black and silver mirror. 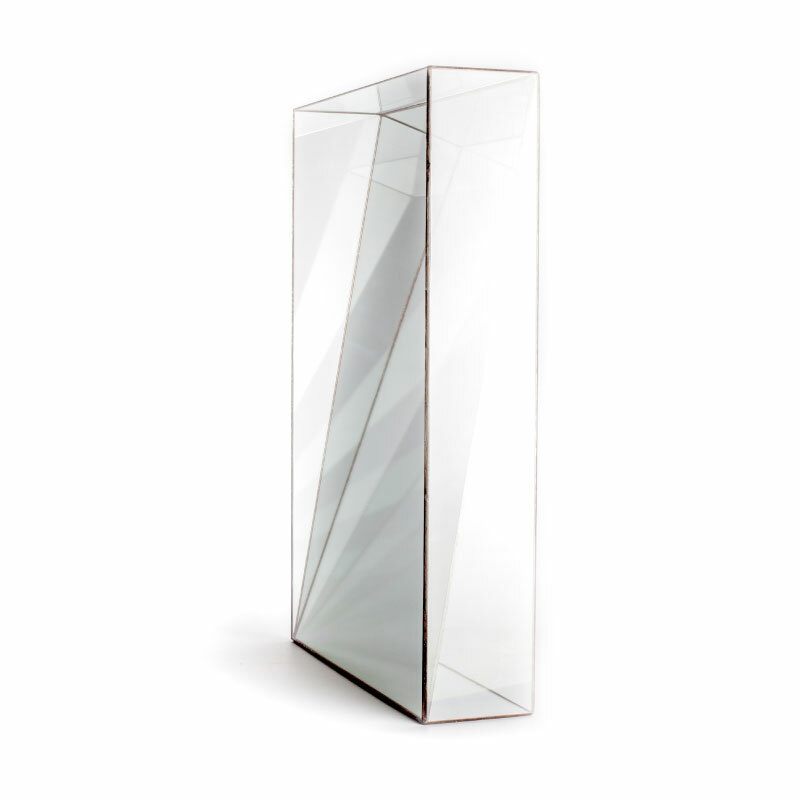 This shape is cut in a non-uniform way to give shape to a unique mirror. 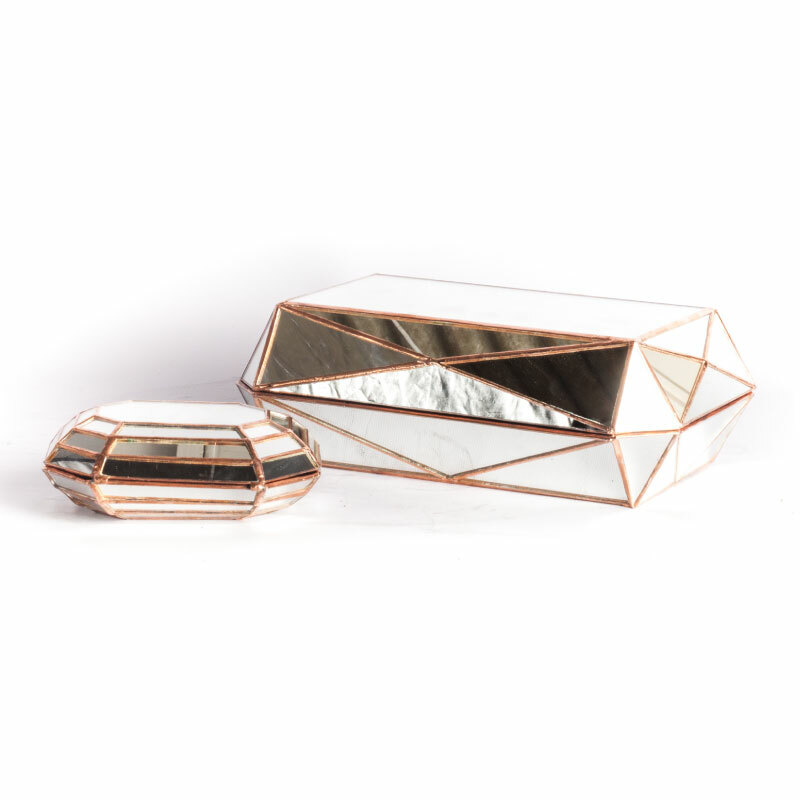 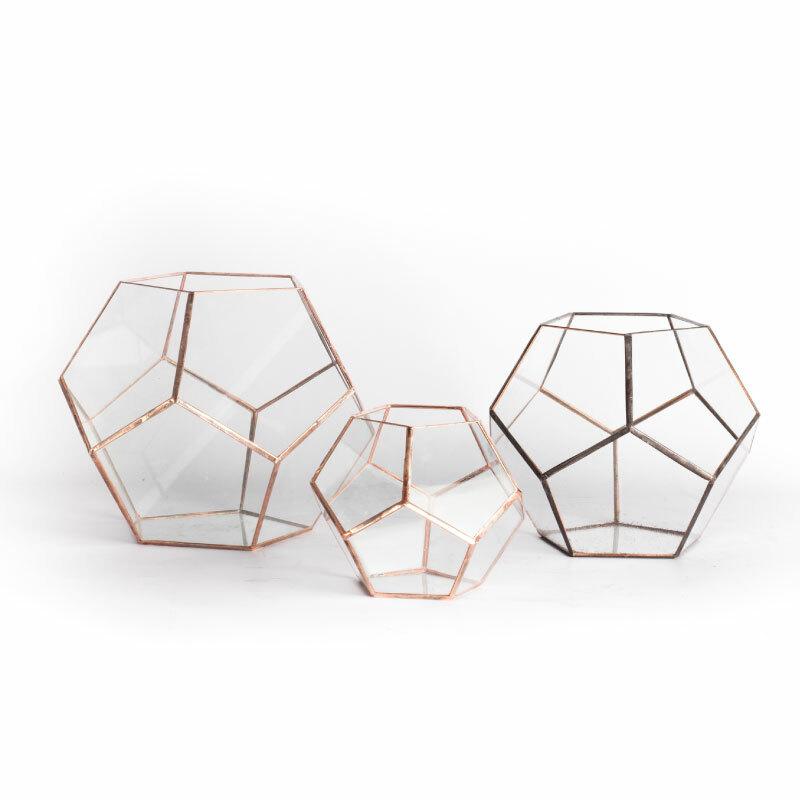 The mirror is beveled on the edges to give this shape depth.